Alyssa Carlier | The Devil Orders Takeout: Bookish Takeout : What Book Titles Do You Like? Bookish Takeout : What Book Titles Do You Like? This post has been rewritten and will soon have a new home! 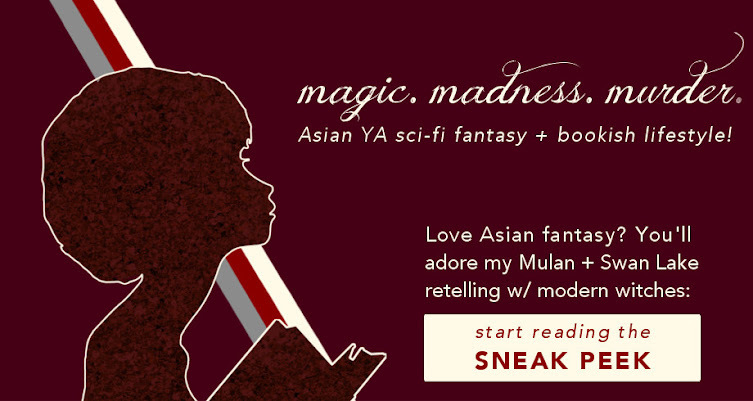 In the meantime, read the comments and join my takeout army of book lovers and bloggers! Oh, this was fun. Apparently I like "The Adjective Noun" best,and therefore, am an aesthetic blogger. I've honestly never thought much about titles, but I've always had a thing for longer titles like "The Strange and Beautiful Sorrows of Ava Lavender." Something beautiful and mysterious like that. Oh yeah, I completely forgot to mention longer/combo titles. I guess Ava Lavender would be both Adjective Noun and The Thing of Nouns? I do like longer titles too, but they're such a mouthful. I got The Thing of Nouns--since I love fantasy, it seems pretty accurate, even though I don't consider myself an especially dramatic person. But the titles of my stories to tend to follow this pattern. Super cool! *high-fives* Eeeek, I'm so happy to hear it's accurate! This is my first time doing a quiz, so I'm really just blindly crashing into things here. This is scarily accurate. I got The Adjective Noun, and since my bookshelf is not available to me I can't personally go through all my books to think about the rightness, but when it comes to your description of the plot, "the main character and their small group of friends make a stand against authority," THIS LITERALLY DESCRIBES 85% OF THE BOOKS I OWN. I love these books so much. Power struggles. Small teams that rely on each other. Victory. *squints* You had better not be stalking me. I got The Adjective Noun!! And I agree with it completely, I mean- The Hunger Games is there! But I agree with the type in general too- that is "my" kind of book! This is SO fun! It appears that THG is a legitimate argument for everything, so I can't really refute that XD Glad you found the quiz fun! This was pretty accurate--I got mysterious single word, which is usually what I go for. Like, Matryoshka is such an interesting title--I would read your book for the title alone. I think my second favorite would be the thing of nouns--I really like titles like A Game of Thones and Daughter of Smoke and Bone. Although, I think the real reason why I prefer single word titles is that they are so much easier to talk about in conversation. I can just say "Divergent" and not worry about having to stumble over something like "Me Being Me is Exactly as Insane as You Being You"--because who has time for that? Anyway, great quiz! Thanks for sharing! Thank you, Christina! I do so enjoy dishing up snark with takeout. Your aesthetic is on point as always, clearly. I actually don't feel it's a problem to fall into trends, because then your readers know what to expect? And I actually meant to write something about derivatives -- OtMS is close enough to The Adjective Noun, I suppose? -- but I completely forgot, argh. OMG, yes, I absolutely did forget that. Perhaps it would fit under Mysterious Single Word? Sometimes? Gah, I really should've put one in for people. Thanks so much for pointing it out! I never noticed how the title trends run so closely to the plot trends. My mind has exploded all over my computer screen. The quiz said I like The Adjective Noun. Out of the choices given-- yes. It is right. I didn't think it would either! I just lined up the books and was about to make the quiz based on aesthetic, and then GASP. They aligned so well. YES YOU'RE RIGHT. And well no, it's not one word, but we can rename the show Coulson and that'd do. YESSS. The show must be renamed Coulson. *cheers* I'm so happy I'm not wildly inaccurate for this quiz. And, well, yes, but there would've been too many options! I should probably have typed up a whole menu option and made it to correlate with "long glorious titles". XD Thanks for commenting, Vlora! WHAT AN EXCELLENT QUIZ. I'm not a fan of single-word titles, so you got me there ;) Although since my favourite genre is contemporary I guess it doesn't apply as much. YAY THANK YOU. Oh my, I completely forgot about contemporary. I simply do not have enough on my shelves to see trends. Oooh, this was interesting. Apparently I am The Thing of Nouns, which is cool. I personally would have said that I'm more of a one-word wonder, because mysterious and hard-hitting? That's totally me. In my head, I mean. In real life I' obvious and bumbling. Which is just as good, I think! *bites lip* Gah, I'm so unsure of whether this is an accurate quiz. But hey, everyone's reality and expectations differ. *nods* You'd be horrified to see how absentminded I'm in real life. I got The Thing of Noun which pleases me GREATLY because I bloody love those books and also all of the titles. Haha. I also think another category should be those five words long titles, they seem insanely popular recently. I might have to steal this very awesome blog post idea and make my own quiz some day though (probably very far off in the future as I am too lazy to make that many graphics at once) - don't worry it shan't be on book titles. I am not that much of a plagiarist hehe. But I love how fun this post was, Alyssa! YAY. So happy the choice fit you! Hmm, I really should've included longer titles, but I just didn't think of it until the comments started rolling in XD Do steal the post idea! I love doing quizzes, and I stole the quiz idea from Cait @ Paper Fury anyhow. Thanks for dropping by, Aentee! 'Parently I'm a single world kind of gal, although (whilst I answered the questions nice and accurately for myself), I do tend to favour book that have the longer titles! I think I end up having more favourites in those books, but hey! Maybe I need to widen my reading experiences. I'm all up for that. Hmm, well, to be fair long titles can be as mysterious as single word titles, so PERHAPS. Perhaps indeed. And pfft, read all the books. There is no reason not to. THE THING OF NOUNS. OH YES. I do love me a good fantasy - and I'm rather pleased to report that a few of my WIPs actually follow this pattern (The Startling Fragility of Eternity, specifically, though that one does have an adjective thrown in there!). I must admit that I dislike repetitive book titles, and so trends throw me off - but I certainly enjoyed taking the quiz, and it's quite interesting to see how the trends fare across genres! YAYYY. And gosh, I know so little about TSFOE (making up this acronym, so bear with me) but your old Tumblr name makes me so curious. *nods* I do try to subvert it now and then -- WTA doesn't fall into any of these, and my NaNo novel is a derivation off Adjective Noun, but now and then I lapse into the trends. PS: I actually might! Because I realise I left out a lot of stuff here I still wanna talk about, but I also don't want to lecture, so I'll see what interactive content I can frame it with. Looking at the other categories, I definitely think that this one suits me the best, because I find that long, windy titles (even though they can be pretty) can be a little annoying and a tad flowery. VICIOUS is the best. SKINNED sounds like a deliciously creepy title, I shall be sure to check that one out! And yes, it's when you reach the end and you go "ohhhhh, yes, that works". Longish titles do trip up your tongue after a while. Thank you, Chiara! I'm especially nervous about the title since it's not super layered or anything, but we'll see. We'll see.